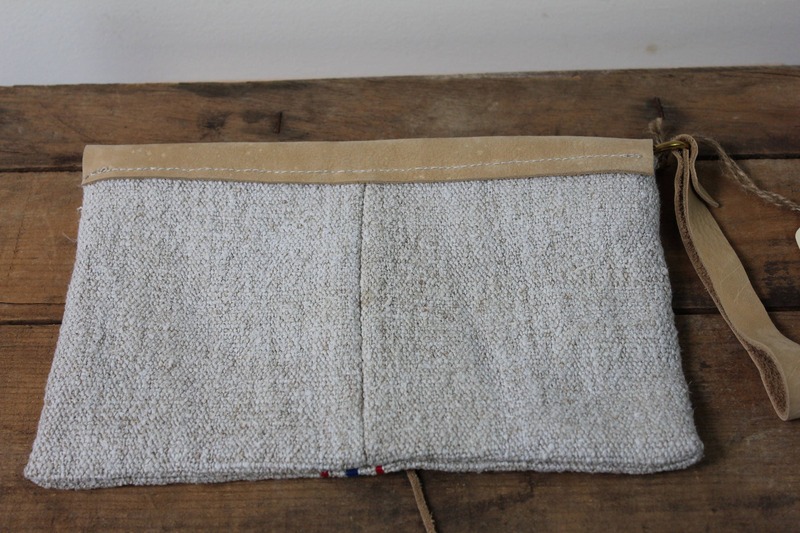 We used a vintage European Grain sack fabric for this pouch. The fabric is from Vienna, Austria and is from the 1800s. 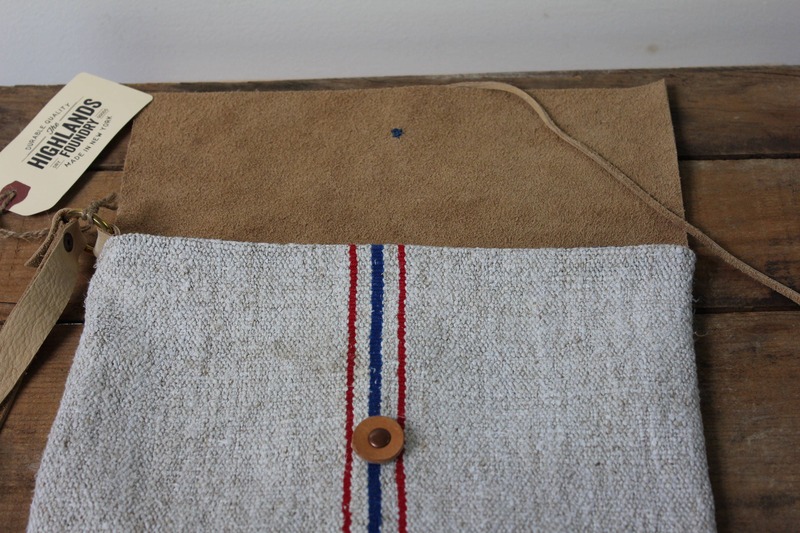 It is in perfect condition and has the most beautiful stripe down the center. 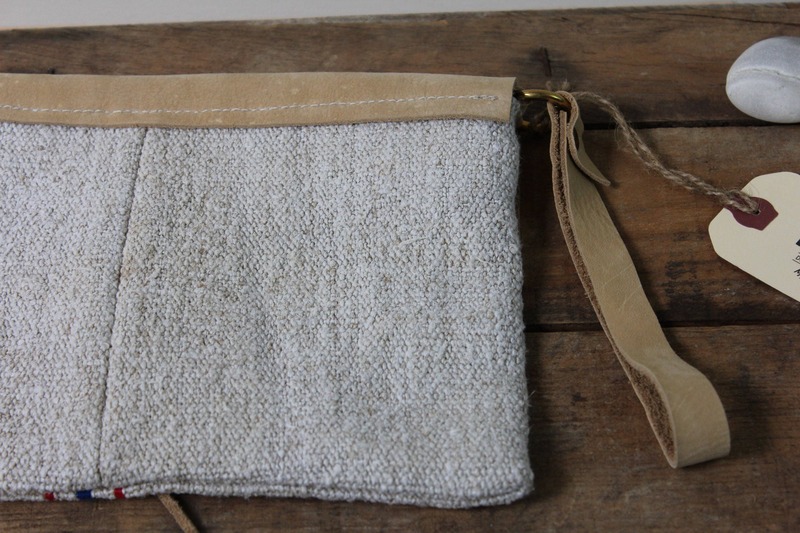 The flap and wristlet strap are made from a soft tan 6oz. leather. 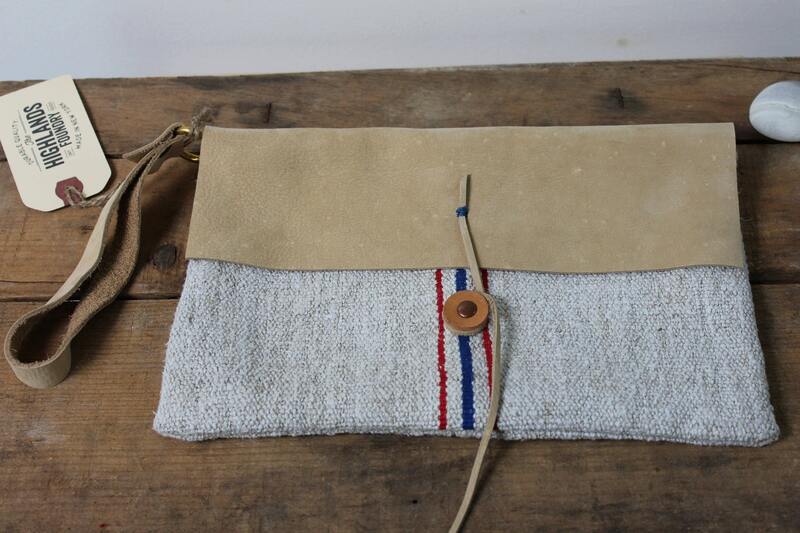 The pouch is lined with vintage fabric that is a blue/cream cotton swiss dot. 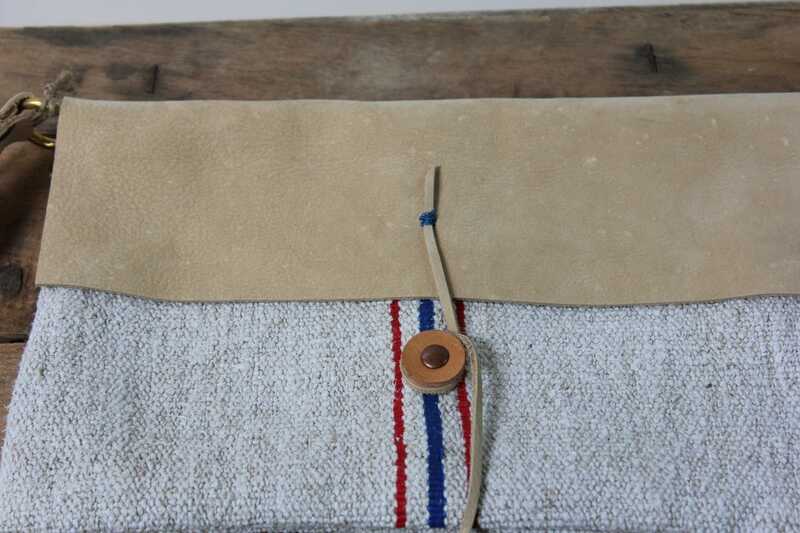 The front closure is very unique with a vegetable tan leather disc and soft leather tie. 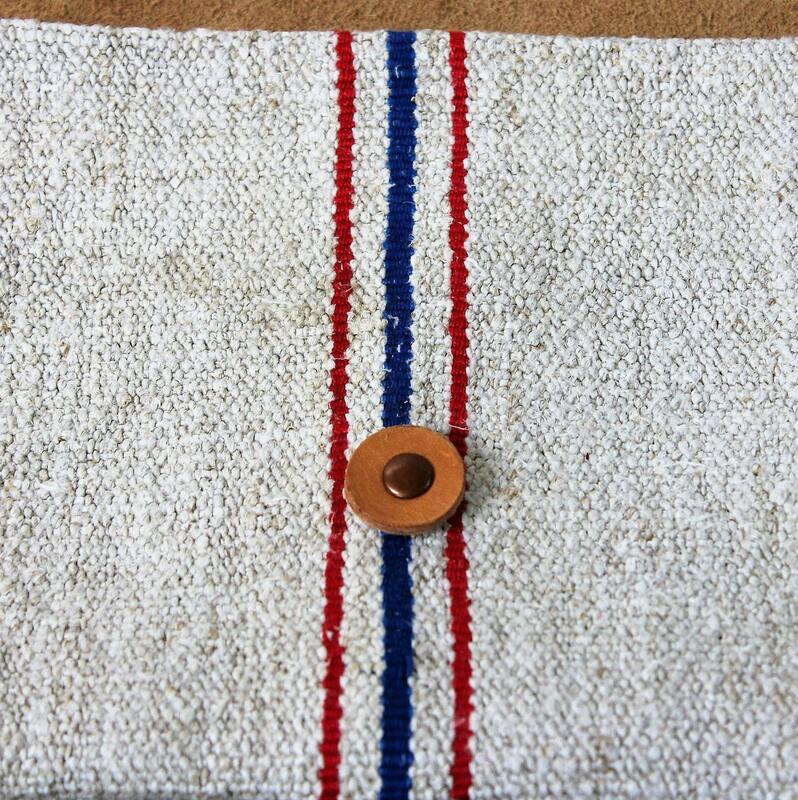 We attached the leather wristlet strap with a brass ring and copper rivet.